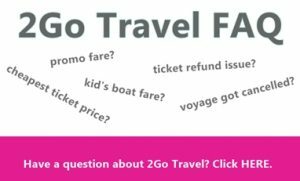 Here’s the buena manong 2Go Promo Fare 2017! To celebrate the Chinese New Year, a new Superferry ticket promo is available for booking! READ: Booking Period is only for a day so you have to book fast on January 28, 2017 – Saturday. 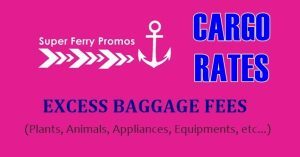 We advise to try different sailing dates if you were not able to get the promo fare price of either 875, 675 or 575 pesos no your chosen date because chances are either the low fare 2Go tickets have all been booked or it is not part of the promo as there may not be available Superferry discounted tickets for peak season dates. ***Keep in mind that the above promo fare ticket price are only base fares and taxes/fees do apply. 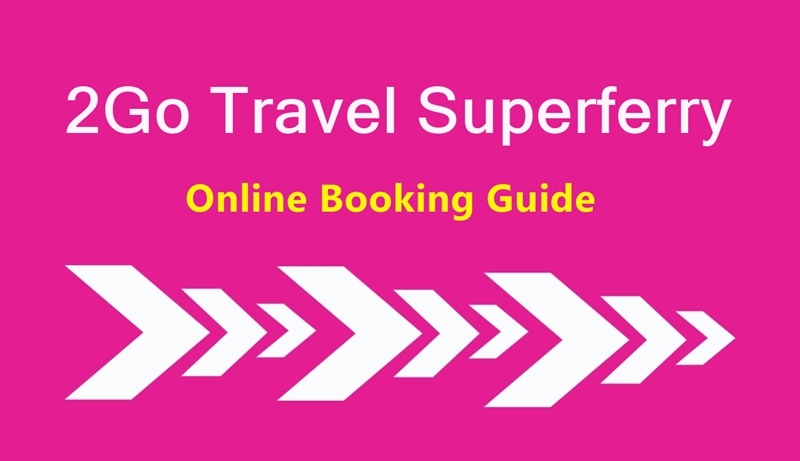 We don’t do any Super ferry ticket booking on this website. You can get your tickets instead via online booking at the 2Go Travel website www.travel.2go.com.ph or call them at (02) 528-7000. And remember, 2Go ticket outlets do not offer this promo fare. 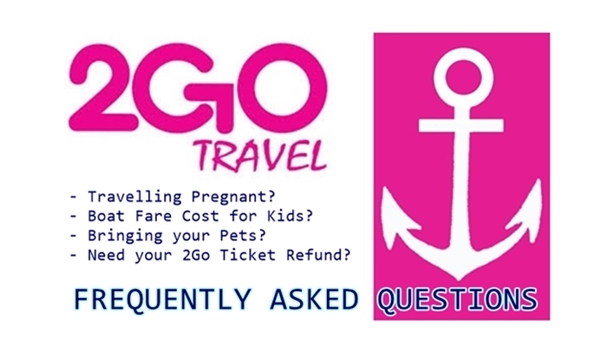 If you have questions – check this 2Go FAQ for the answers. 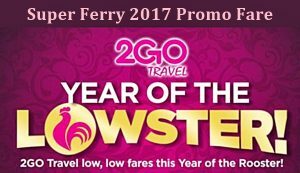 We will be on the lookout for the next Superferry 2017 promo so LIKE and FOLLOW us on FACEBOOK so you won’t miss the next 2Go Travel promo 2017! mag kano po manila to cagayan de oro . hi.real po b yung.promo ths cming.april. Nag-expire na po ang 2Go promo fare na to, noong January 28 lang po ang allowed booking ng ticket for the Feb to July 2017 travel dates. ung batangas to roxas po ano po un roxas capiz po ba un slamat..